Brian Moynihan’s dealmakers raked in cash last quarter and his mortgage bankers improved. BofA slashed expenses, set aside far less for legal woes and its deposits problem pales next to JPMorgan’s. Yet trading is weak as is return on equity. An investment case is hard to make. 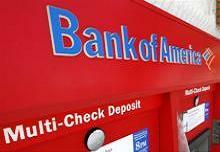 Bank of America on April 15 reported first-quarter net income of $3.4 billion, or 27 cents per diluted share. Results included a $1 billion pre-tax charge to cover annual retirement-eligible incentive costs and a $500 million pre-tax hit from market-related net interest income adjustments. Some consensus estimates exclude the latter, bringing earnings per share to 30 cents, compared with a consensus estimate of 29 cents. Expenses at Bank of America declined 6 percent to $15.3 billion compared to last year’s first quarter, excluding legal costs in both periods. The bank set aside $370 million to cover litigation expenses in the three months to March, compared to $6 billion a year ago. Return on average common equity was 5.35 percent and return on average tangible common equity was 7.88 percent. Revenue fell 5.7 percent from last year’s first quarter. Excluding equity investment income from 2014’s first quarter and a $211 million market-related reduction on the bank’s securities portfolio, revenue was down 1 percent. Deposits grew 1.7 percent from the same period last year to a record $1.15 trillion. The bank’s underwriting and advisory businesses posted revenue of $1.5 billion, the highest amount since the merger with Merrill Lynch at the end of 2008. Fixed income trading fell 7 percent from last year’s first quarter, while mortgage banking income increased 60 percent.